You won't need a trusty sidekick when you've got these shoes for company. Our versatile pumps have leather-padded insoles, making them ideal for days when you're kept on your feet. 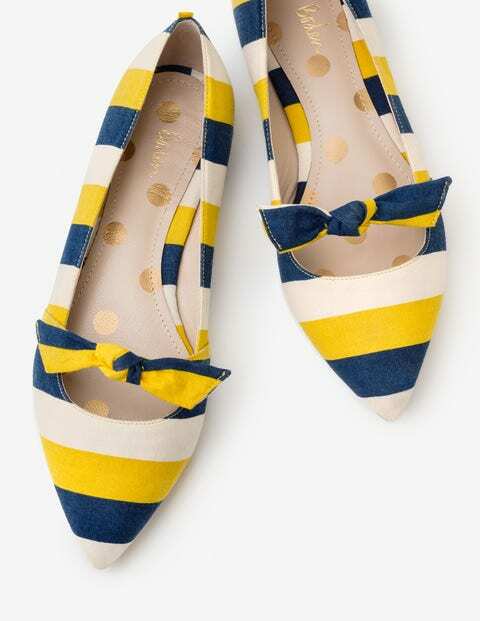 They're a trendy substitute for heels too, thanks to a pretty bow strap and contrasting grosgrain tape at the back. All that's left to you is deciding where to take them first.